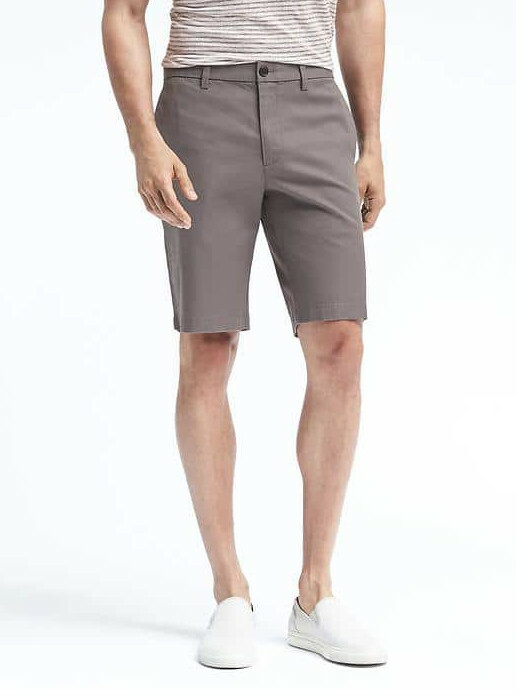 Summer is officially here and one of the most essential items of clothing for summer is shorts. 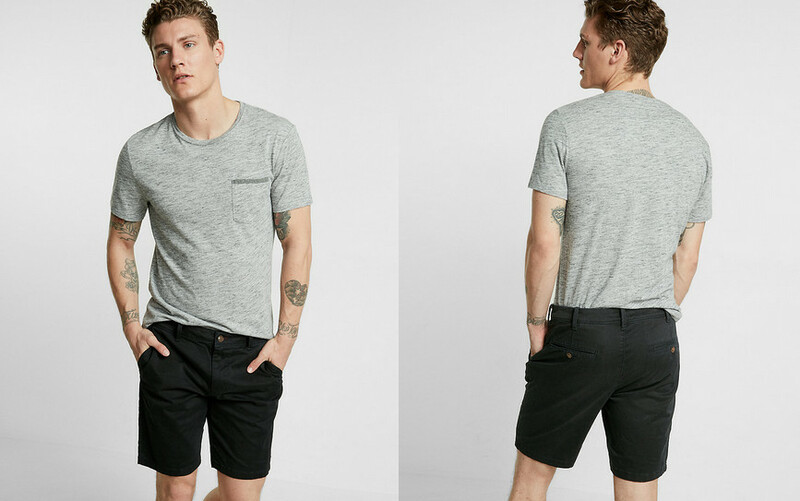 Not just any shorts however, we’re talking about well-fitting and proper length shorts. This season I decided to go shopping and outfit my shorts arsenal with some brand new options, so in this post I’ll let you know what I found and how they fit. The recommendations in this post are simply my suggestions. I went shopping and tried on several different brands and spent my own money on these because they were the best of what I tried and they checked all the right boxes for me. First things first; I’m a slightly slender build at 5’ 9” tall and about 165 lbs, and for me a 9” to 10” inseam is just about right. Your shorts should fall above the knee, so for me, the 9” inseam is ideal. If you’re a little taller, you may prefer a 10” inseam. Go try. If your current shorts fall below your knee, they’re outdated and you should consider removing them from your rotation altogether. 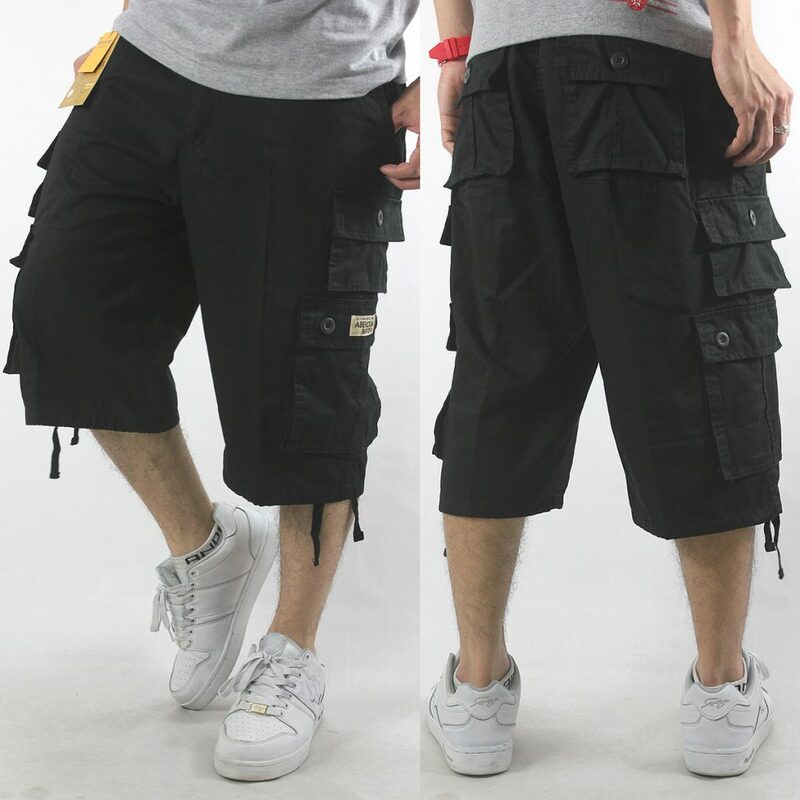 Baggy shorts that fall past the knee are making you appear short and sloppy and it’s not a good look for guys our age. Feel free to go with a shorter 7” inseam if you’re comfortable, but here are a few 9” & 10” options that hit above the knee without revealing too much thigh. Aiden Slim 10” inseam shorts. These are cut very well for most body types and they fit me extremely well. They’re flat front, the leg openings are slim, but not too slim and they’re very comfortable. The colors are nice and they wash & dry well with minimal shrinkage. Slim Fit 9” inseam Flex Stretch shorts. 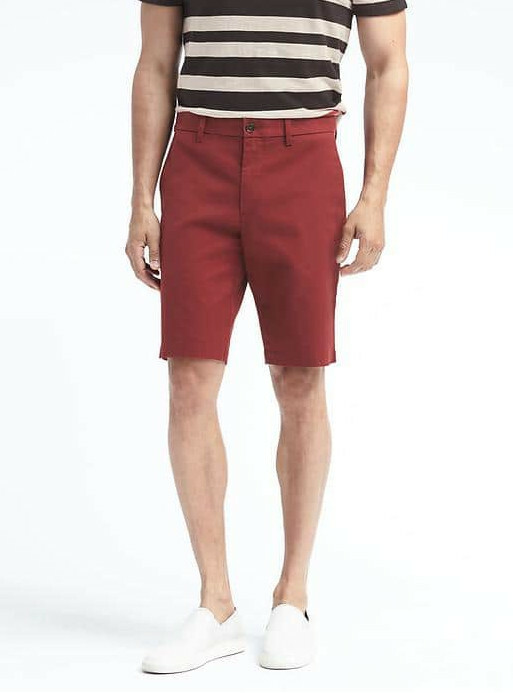 These, just like the Banana Republic shorts, fit me just about perfectly. They have a stretch fabric that makes for an ultra-comfortable fit. They’re lightweight and very easy to wear. These also wash & dry well with minimal shrinkage. If you’re in the market for some new shorts, go give these a try. Also, if you have a good brand recommendation for shorts, please leave a comment and I’ll see about doing a review on them. Nice read, I just passed this onto a colleague who was doing some research on that. And he actually bought me lunch as I found it for him smile So let me rephrase that: Thank you for lunch! “Without friends no one would choose to live, though he had all other goods.” by Aristotle. I want to convey my admiration for your generosity in support of individuals who absolutely need guidance on this one topic. Your personal commitment to getting the solution across appears to be certainly productive and have empowered guys much like me to get to their desired goals. The valuable recommendations signifies a whole lot a person like me and even further to my fellow workers. Warm regards; from each one of us. blogger. I have joined your feed and look forward to in search of extra of your fantastic post.